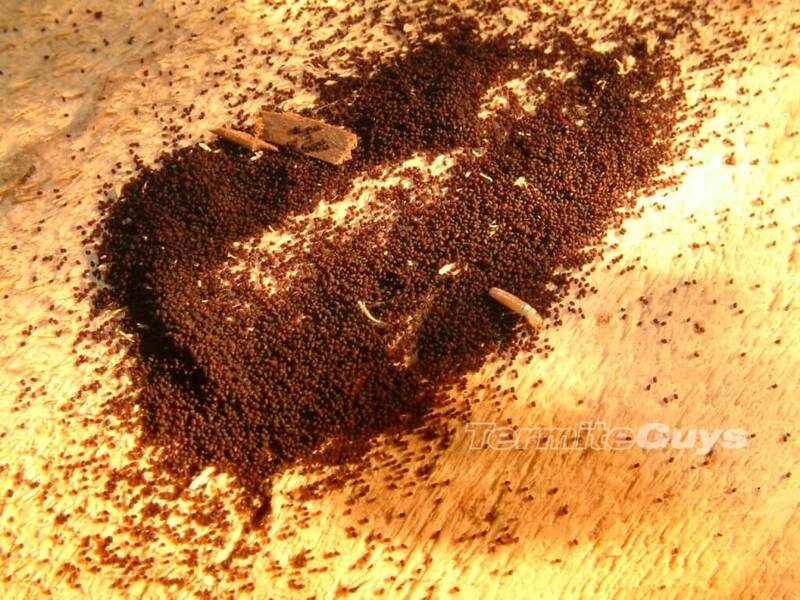 Drywood termites work in a different way to the subterranean species. For a start, drywoods extract the moisture they require directly from the timber they attack. Unlike their relatives, the cast small pellets called frass from areas of activity (the subterranean types never cast any grit or debris from active workings. Drywoods are much more tolerant of atmospheric conditions. They do not require ground contact or build mud tubes and can fly from house to house when they colonise. Scary, huh? It shouldn’t have been… the local drywood termites Cryptotermes primus have very small colonies and do damage very slowly, often using timber already damaged by other timber pests like borers. They are certainly not house eaters although a really prolonged attack could lead to failure of individual floorboards. It all changed in the 1980’s. We received a most unwelcome guest that somehow snuck through quarantine. 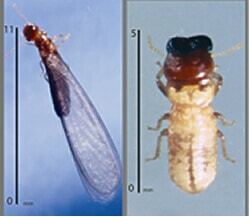 Cryptotermes brevis, otherwise known as the West Indian termite. Major panic ensued. Cases of infestation have been detected in Maryborough and Brisbane. These guys are real terrorists and pose as great a threat as fire ants or cane toads. Their colony size is huge, rivalling subterranean species such as Coptotermes or Schedorhinotermes. The damage they can cause is massive and just like the locals they can fly from house to house. Cryptotermes brevis is a government controlled pest. When we encounter suspicious cases we submit samples to the DPI Forestry department for identification and if there’s a confirmation they won’t muck around. Infested houses are fumigated with methyl bromide or other similarly nasty gases (which will be done at no expense to the unlucky owner). The government takes cases of this species extremely seriously and with very good cause. Not a queenslander (or almost any other type of house) would stand if they ever got out of hand. Cases of West Indian termites are quite rare these days due to the swift intervention that happened when they were first discovered (older readers may remember the treasury building under a tent in 1988). 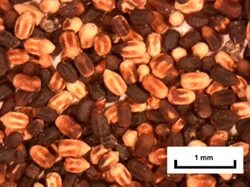 The vast majority of submitted samples turn out to be the local species Cryptotermes primus which are actually quite common but seldom noticed due to the insignificant damage they do. Identification of drywood termite species or frass is always a job for the DPI. If we encounter evidence of suspicious activity, a sample is submitted for verification. 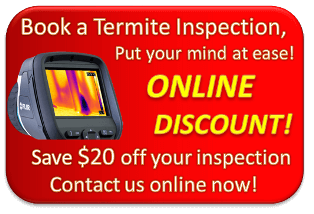 Contact our office today for an inspection or quote!